In most cases (if not all), a piece of music without sharps or flats in the key signature, would be considered in the key of C major or A minor. This question assumes the context of Western Music since that is the only type I know much about. The key signature defines which notes (in the absence of accidentals) are available to include in the composition. So obviously if the key signature has no sharps or flats, any note written on the staff will be one of C D E F G A or B (all natural), which are the notes in the key of C major and also its relative minor (A minor). But if we change the tonal center from C to another note, without changing the available notes, then we are in a different mode. For example if we start on F and play a scale using all the notes in C major (resolving back to F), I believe that would be considered the F Lydian Mode (even though the notes are all common to the C major scale and derived from the key of C major). So does that mean that F Lydian Mode actually belongs to the key of C? Similarly does each mode in the chart below (all comprised of the notes found in the key of C major/A minor) belong to the key of either C major or A minor? Certainly the key signature would indicate as much. I know that the Aeolian Mode is equivalent to the A natural minor scale. This makes me believe that modes must be defined as being derived from either a major or minor parent key. No. A key* is not just a set of notes, it tells you the tonal center** of a piece and the expected harmony and melody of the piece. If that was the case we wouldn't even distinguish between major and minor as they have the same set of notes as do all 7 modes of the diatonic scale. How you use your harmony and melody will define the key and tonal center by making one note sound like it is more at home than the others. We're now looking at the progression as in "the key of C" and it may work in some contexts, but calling F the tonal center makes much more sense. You would want to end your progression on an F major chord. *Typically when you talk about a key you talk about tonality and typically use the terms major and minor rather than modality and refer to the modes themselves, but the idea is still there. **Even the phrase "tonal center" when apply to modes is a little fuzzy strange to apply to modes as the tonal refers to tonality, but for continuity I'll use tonal center to describe modes too. Here's an in depth explanation about tonal vs modal for more background about the difference. My college music theory professor always explained it this way: Key only means tonal center. If you say it's in the key of C, then you have to specify whether the mode is C major, C minor, or some other mode. He would insist that there is no such thing as the "key of C major". The correct way to say that is this: the key is C, and the mode is major. So in your example, the key is F and the mode is Lydian. The correct key signature for this mode is a clef with no flats and no sharps. My professor would never refer to this key signature as the "Key Signature of C" or the "Key Signature of A Minor" because he wanted to make clear the distinctions between the slightly ambiguous ways that these terms can be used. It also has the same key signature as A minor. However all three are different keys, because they have different tonal centres. A key is named after the note it tends to gravitate to. A passage in A minor clearly sounds different to C major. And F lydian sounds different again. You need to learn to think both in terms of relative keys (which have the same notes) and parallel keys (which have the same tonal centre.) It's true that relative keys can be difficult to distinguish and somewhat subjective: For certain pieces, one person might say it was in C major and another in F lydian (though there are others in which everyone would be unanimous that it was F lydian.) On the other hand, parallel keys, because they have different notes, are far more distinct: nobody is going to confuse F lydian and F minor. Here are a couple of songs by Lou Reed. Both are based on an insanely simple chord progression, one with C - F and the other with C# -F# Decide for yourself if they are major or lydian. In my opinion, it is the pull towards F in these songs that prevents this very simple progression from being boring. Key signature and note collection notwithstanding, a musical composition that is written in F Lydian is NOT a mode of the key of C major - even though the key signature would be the same as for C major and all of the notes in F Lydian are also in C major. In fact, the so called “key signature” does not always tell you what key a musical work is written in. And just because all of the notes in a composition can be found in the C major or A minor scale, the piece may not necessarily be in the key of C major or A minor. To prove this, let’s look at the key of C major and A minor. I think it would be hard to argue that those two keys are the same. They are different keys altogether even though they share the exact same notes and the exact same key signature. The tonal center of A minor will be an A note and the tonal center of C major will be a C note. It may also be helpful to consider that the key signature for C major is different than the key signature for C minor. Even though both keys share C as the tonal center – they have different notes and different key signatures. Although the key signature will often provide a clue as to what key a musical work is written in, it is not the way to tell for sure. The key to determining the key (excuse the pun) is to find the “tonal center” of the composition. In other words, which note do the rest of the notes revolve around, start with, or want to resolve (gravitate) to. Often the best clue is in the harmony or chord progression which may lead you back to the tonal center. The bottom line is each key has many different modes. You can refer to these modes based by the Greek names such as Lydian, Phrygian, Dorian and so on. Or you can say that it is major, natural minor, melodic minor or harmonic minor. C major, C natural minor, C harmonic minor and C melodic minor are all modes of the key of C because they all share the same tonal center - C. However they all have a different set of notes and a different key signature. What determines the key of a piece is not the notes it contains or the key signature, but the note that establishes itself as the tonal center. So F Lydian, despite having all the same notes as C major and sharing the same key signature as C major, is actually a mode of the key of F because F is the tonal center. To me, "mode" is just a word we use instead of "scale" for certain scales. From that point of view, you might as well be asking me if "A minor actually belongs to the key of C major". To me a key is both a scale and a tonal center. A different tonal center means a different key. When you start a piece in A minor and modulate up to C major, you are now playing in a different key. From that point of view, F lydian and C major are two distinct keys that just happen to share the same notes (in equal temperment), the same way A minor and C major are different keys that share the same notes. Interesting question, Cowboy. 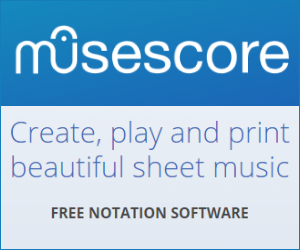 From looking at sheet music for 'Scarborough Fair', which is Dorian mode, the convention seems to be to use the key signature of Em and to use an accidental to mark the c#. I was taught in college that a 'key' is defined by the use of a dominant 7th chord. Minor dominants indicate a mode. Interestingly, 'Walk on the Wild Side' sounds lydian to me, but uses a C major dominant, but C dominant 7 does not work. maj. nor minor character, such as the diminished modes or all symmetrical scales for that matter. (4) The "key" / characteristic of a mode or modal piece is therefore noted by it's own unique modal name- regardless if it's built from the parent scale of C-major. In this case F Lydian belongs to the key of C-Maj., but only in the sense that it is built from and is the 4th of the 7 modes of the C Maj. scale but is not in the "key" of C- Major, it is in the mode of F Lydian, F being the tonic note (primary tone) that you would be resolving to- in addition to the 4th tone (the subdominant) being raised 1/2 step in comparison to the C major scale. (5) Diatonic Harmonic theory and analysis is not to be confused with modal Harmonic theory and analysis. According to the above website there are only 24 keys in music, 12 major and 12 minor. Therefore, technically, F Lydian is in the key C major, with F as the tonal centre. I get a sense that a key here is referred to a as collection of notes available (except accidentals) to build harmony and melody. I think this makes sense. Essentially, it's just a label, as long as we understand the crux of it here is no point splitting hairs! Not the answer you're looking for? Browse other questions tagged theory scales harmony key modes or ask your own question. What does it mean to write a song in a certain key? What's the difference between “modal music” and “tonal music”? Distinguishing the semantics of modes and scales. When to say scale vs. when to say mode? With sheet music, how do you determine whether the song is in the major key or the minor key? Why does the Dorian mode on C have two flats? How did the notes of the Western musical scale get their letter names? How can a scale sound sadder/darker than the scale with the same key signature? Which chords belong to a mode? Is there such a thing as a Harmonic key besides for Harmonic Aeolian?